Hi, everyone. It's April now. And yes, I know that National Library Week ran from April 8 to 14, so it ended a few days ago. Even so, I wanted to say something here about the Knobcone Heights Library. Yes, Knobcone Heights has a library. It's located near the town's Civic Center. 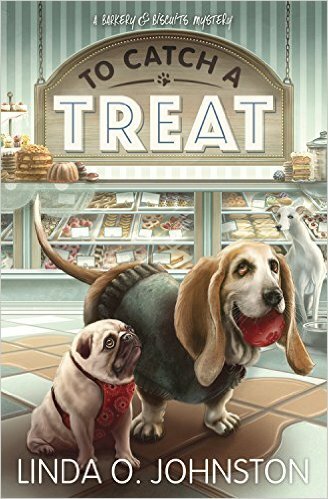 With my dual careers owning my shops, Barkery and Biscuits and Icing on the Cake, plus still working part-time as a veterinary technican at the Knobcone Veterinary Clinic, I don't have a lot of time to read. Even so, I do pop in at the library whenever I get an opportunity. 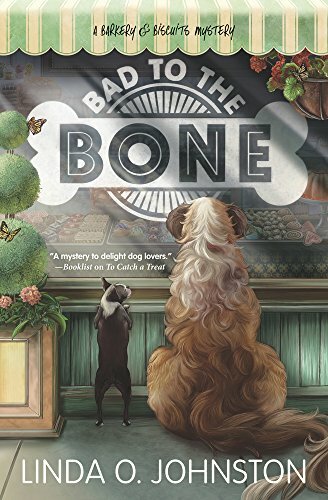 I pick up books to read, sometimes mysteries similar to the real ones I've gotten involved with lately, where I've helped to solve some pretty nasty murders. Other times, I take out books for research on how to solve those murders, although I don't get involved with research nearly as much as my full-time assistant Dinah Greeley does. She likes to write as well as work in the shops, so she's always conducting research. 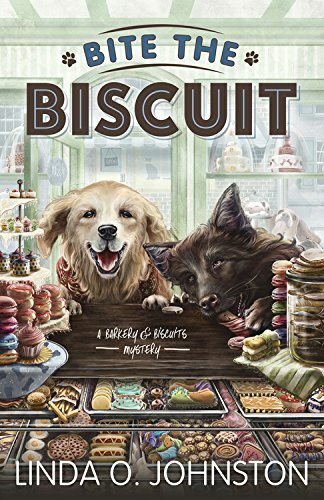 Yes, our library happens to have copies of the books written by Linda O. Johnston that memorialize how I've solved those murders: Bite the Biscuit, To Catch a Treat, and Bad to the Bone--and I understand they have on order the new one about to be published next month, Pick and Chews. Anyway, let me wish all librarians a belated Happy Library Week and thank them for all they do. 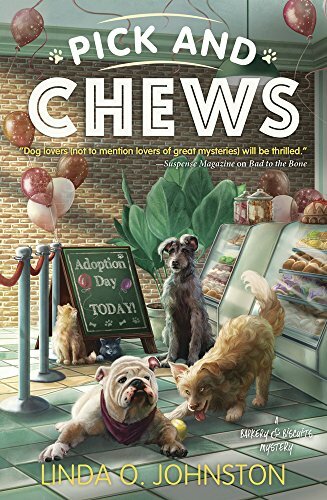 PICK AND CHEWS, the fourth Barkery & Biscuits Mystery by Linda O. Johnston, will be a May 2018 release. Thanks--from both Carrie and Linda!